While the boxing world and the mainstream may still be talking about Deontay Wilder and Tyson Fury’s 12 round draw on December 1st, Matchroom Sport founder Barry Hearn asserts they still run the heavyweight division. “There’s a lot to talk about. This business is about money at the end of the day. It’s not totally out of the window (Joshua and Fury) but look they didn’t sell out the Staples Center and the numbers were relatively low in regards to pay-per-view. If they did a rematch of course it would be much bigger and the prospect increases (of them fighting AJ). 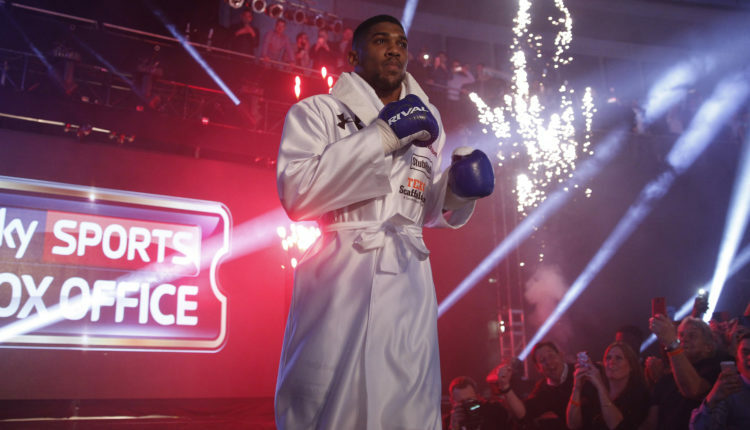 Hearn claims that Pay Per View is not the promised land, a fight against Anthony Joshua is. 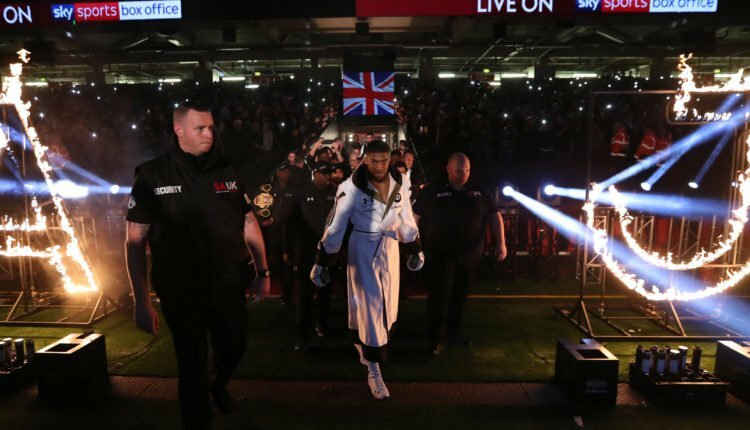 “When they get to the promised land, the land of milk and honey, that’s when they fight Anthony Joshua, the longtime promoter said to Brazil. “So both of them need to stop kidding themselves. We’d love the fight against either of them – it would be great for fight fans. AJ wants to be fighting the best, but not on silly terms. At the end of AJ is the best heavyweight in the world, and commercially heads and shoulders above the rest. Coming out of December 1st’s WBC world heavyweight championship showdown between Deontay Wilder and Tyson Fury, many were wondering how Tyson Fury was able to stand up after a crushing shot by Wilder. 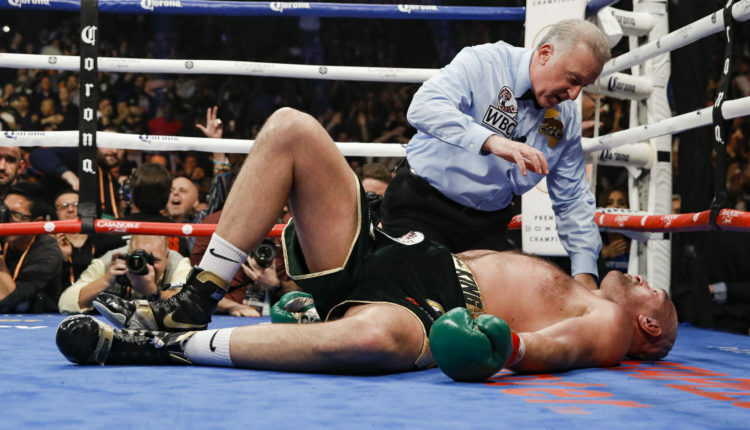 More were confused that the referee Jack Reiss did not stop the fight and allowed Fury to continue after getting to his feet at the count of 9. “I was evaluating these guys throughout the whole fight (and) in the 12th round, they’d boxed their hearts out, threw a lot of punches but there wasn’t a lot of heavy damage taken by either guy,” he told SiriusXM Boxing. “They both moved into the 12th round tired but not extremely hurt. When (Fury) got hit and he went down hard, that was an unbelievable knockdown. Two things went through my mind – No 1 always count a champion out and No 2 give this guy the benefit of the doubt and let’s see how he still is. So when I went down to count… not only did I get down, I scooted in so he could see my hand and hear my voice. Reiss would go on to explain that: “I said three, four… he was grimacing, his eyes and his cheeks, he was grimacing so I knew he was awake and then when I said five his eyes popped open like I startled him. He rolled over and got up and said “I’m OK! Jack I’m OK” or whatever he said. I said, ‘Do you want to continue?’, he said ‘Yes’ and put his arms on my shoulders. I pushed his arms off and said walk over there, come back to me and show me you’re OK. He did and we let it go. Dr. Alexis Turgeon, the specialist physician in intensive care medicine at the Quebec City hospital where Stevenson is currently staying at, gave an update on the former world champion’s condition after his fight on December 1. Turgeon explained that Stevenson had surgery on the evening of December 1 into the early hours of December 2 and is dealing with a brain injury that has resulted in him being in the intensive care unit since then. “Mr. Stevenson underwent surgery on the night of Saturday to Sunday and has since been admitted to the intensive care unit. He suffers from severe traumatic brain injury. His situation is still stable under the circumstances, but critical,” Turgeon said. The incident started after Stevenson was knocked out by Oleksandr Gvozdyk in the 11th round of their fight for Stevenson’s WBC light heavyweight title. The loss ended the 41-year-old Stevenson’s reign as world champion, which started in 2013. Vasyl Lomachenko prepares for his return to the ring on December 8th as he looks to unify his WBA lightweight title against WBO champion Jose Pedraza. 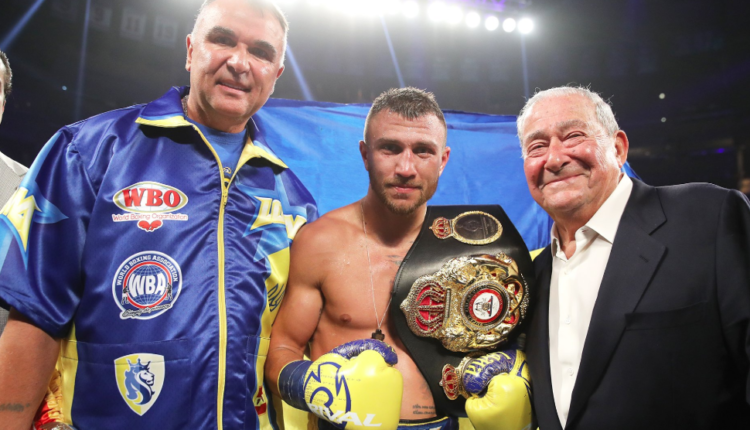 While Pedraza is in-front of him, potential fights against Mikey Garcia and other top fighters await the Ukrainian, but one fight Lomachenko was offered and turned down, was one against current WBA (regular) welterweight champion, Manny Pacquiao. With a little more than a month before UFC kicks off the 2019 calendar year of events, the company has made some changes to enhance their upcoming show in Brooklyn. According to ESPN, UFC has moved the Henry Cejudo vs. TJ Dillashaw for the UFC flyweight title to the main event of the January 19 show, set to take place at the Barclays Center in Brooklyn. The fight was originally slated to be the main event of UFC 233, taking place in Anaheim, California one week later. The report also stated that the UFC is actively looking to add a title fight to become the new main event of UFC 233. The January 19 show is the first in UFC’s new broadcast deal with ESPN. The Brooklyn show will be on ESPN and ESPN+ streaming service, but the main event will air on ESPN+. 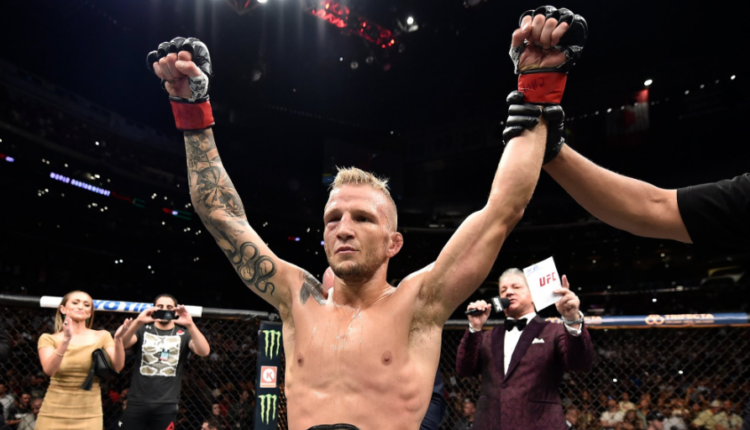 Dillashaw is the current UFC bantamweight champion, but is moving down in weight in order to become just the latest fighter to win a UFC championship in two different weight classes as Conor McGregor and Daniel Cormier have done so in recent years. The card will also feature Paige VanZant fighting Rachael Ostovich in a women’s flyweight bout and the company is reportedly planning to have former NFL player and unbeaten heavyweight Greg Hardy compete on the card as well. Glover Teixeira, Belal Muhammad and Joanne Calderwood are also set to fight on January 19 as well.